MONTREAL — It was a sunny Wednesday in March, and Neil Bruce was making his case for why SNC-Lavalin Group Inc. deserved a negotiated settlement over corruption charges tied to alleged dealings in Libya. 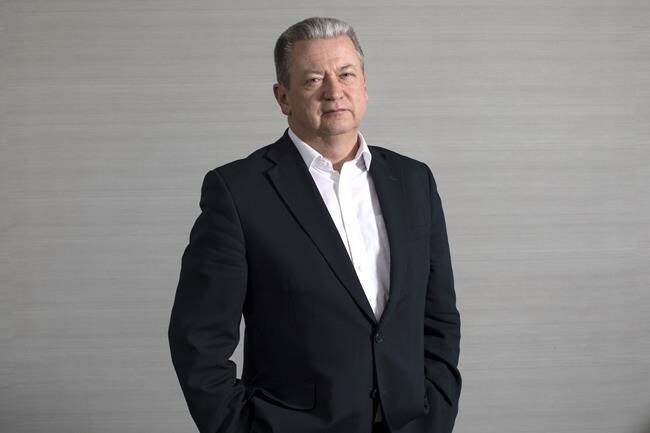 Flanked by a public relations team in a downtown Toronto boardroom, Bruce shared some internal data on the use of deferred prosecution agreements (DPA) by SNC-Lavalin's rivals to illustrate the competitive disadvantage his firm faces. "We've calculated that about 75 per cent of these U.S. and European competitors have done DPAs in their own host country and are free to work in Canada," Bruce told The Canadian Press on March 20. The Canadian Press analyzed figures on corporate settlements from a pair of databases and found that only a handful of SNC-Lavalin Group Inc.'s rivals or their subsidiaries have received deferred prosecution agreements. In the U.S. and United Kingdom, just one of SNC-Lavalin's 16 main competitors listed in its 2018 annual information form is named as a DPA recipient, according to the databases that go as far back as 1992. "Most of the activity in DPAs is extremely recent," said Jennifer Quaid, a criminal law professor at the University of Ottawa. "There isn't necessarily a long tradition of holding companies criminally liable in many European jurisdictions." "SNC-Lavalin did internal research on the topic and calculated that about 75 per cent of its rivals have concluded DPAs in their host countries," spokesman Nicolas Ryan said in an email. While none of SNC-Lavalin's 16 competitors appear to have received DPAs in the U.S. or U.K. in the past five years, a few of their subsidiaries have, and several rivals accepted deals prior to 2014. Tishman Construction Corp. — purchased by Aecom in 2010 — accepted in 2015 a US$20.2-million DPA tied to an overbilling scheme dating back to 1999. And SNC-Lavalin's own WS Atkins, which it bought in 2017, acquired a subsidiary seven years earlier that reached a US$3.4-million DPA following allegations of bribing Qatari officials in 2009. In 2008, British construction company Balfour Beatty admitted to "payment irregularities" and paid a 2.25-million-pound penalty following a bribery investigation by the U.K.'s Serious Fraud Office, avoiding charges in the process. Instead it got a plea bargain, which unlike a DPA involves a legal admission of guilt along with the bidding bans and steeper penalties that can come with it. "The big thing that corporations are worried about is stigma. They don’t like the stigma of being considered a corporate criminal, because that affects their sales and their public reputation," said Russell Mokhiber, a corporate crime journalist and author. The difference between who gets a negotiated settlement and who doesn't often comes down to size, says Susan Hawley, policy director at London-based non-profit Corruption Watch. "Large companies tend to get away with DPAs and the smaller companies get prosecuted criminally," she said. She points to Rolls-Royce PLC, with which U.K. prosecutors pursued an agreement "for corrupt conduct spanning three decades," as the state's Serious Fraud Office director put it in February. The settlement — which emerged only after Rolls-Royce had been "found out," Hawley said, not after self-reporting — drew renewed scrutiny of the practice. "Because the large corporations have the power, they have the power to demand and secure these agreements," said Mokhiber. "You lose so many jobs in the economy, shareholders get hurt, innocent employees are punished, and so forth."